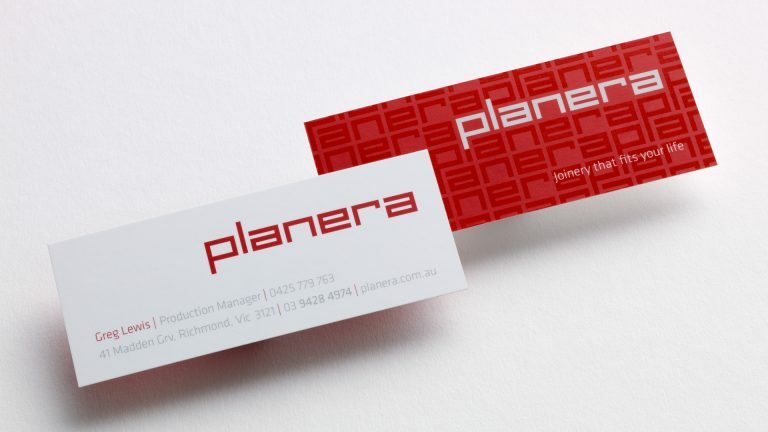 A 50 year old company that needed their brand to match the contemporary work they created. The brothers in the company weren’t comfortable with the old branding, but weren’t sure why. 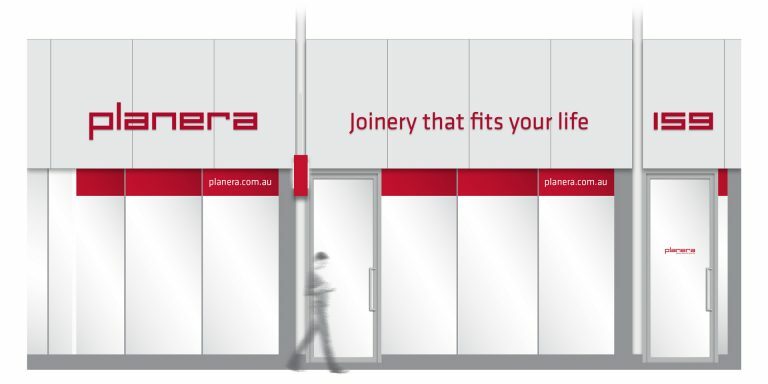 We worked with them to identify the company’s strengths and unveiled their passion and commitment to create highly functional, well crafted joinery, just as their father did. They had virtually no brand in the public eye and were largely a provider to other well known suppliers who took all the rewards for their passion for detail. 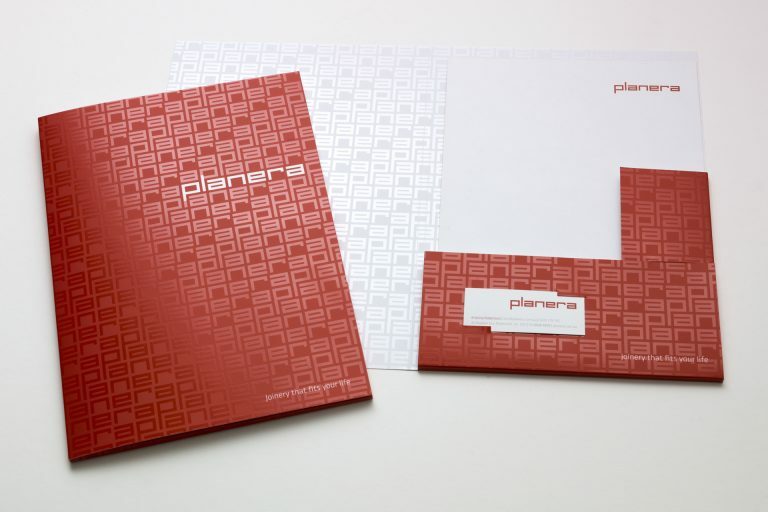 A new brand with customised typeface was developed which reflected the shapes of the contemporary spaces they created. Every element was millimetre perfect and proportional to each other. 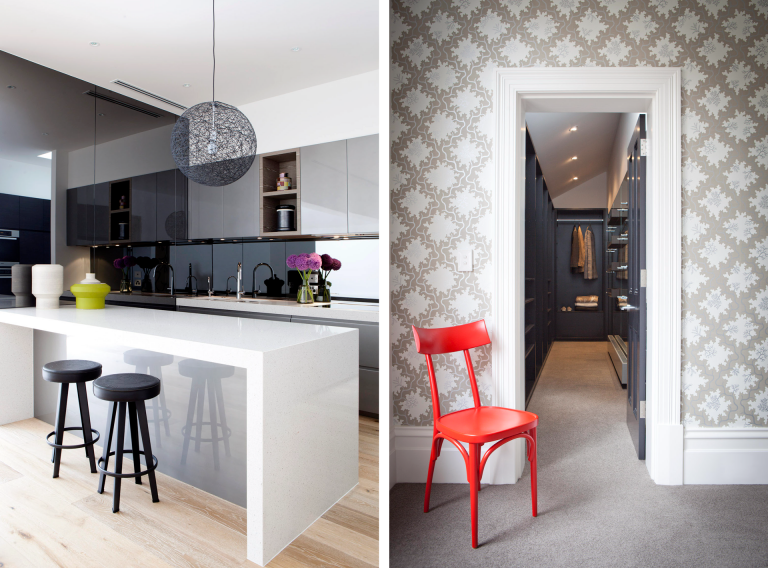 Textural elements were used such matt celloshine finishes and spot UV vanishes to reflect the touch and feel of the surfaces they worked with. 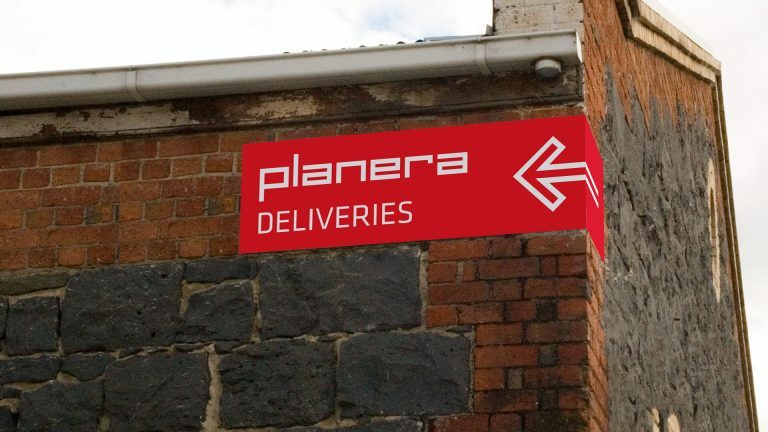 Planera developed a new customer base who came to them direct. 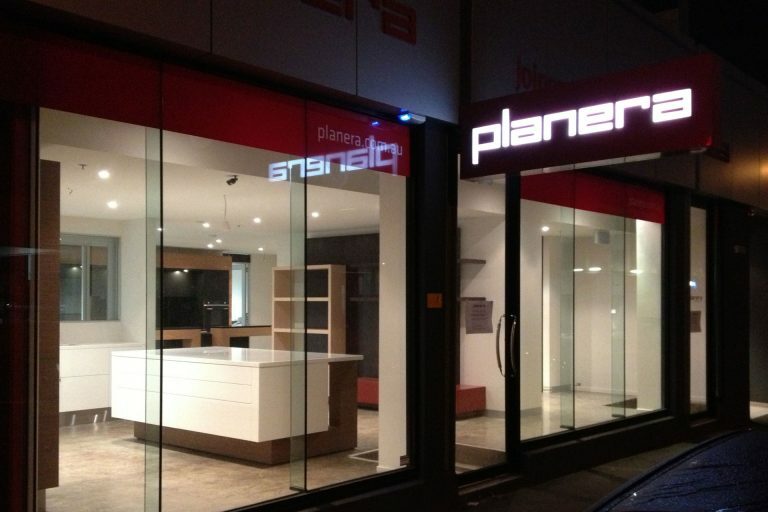 They opened a new showroom in Hawthorn, right in the heart of their customer base to service their clients directly. 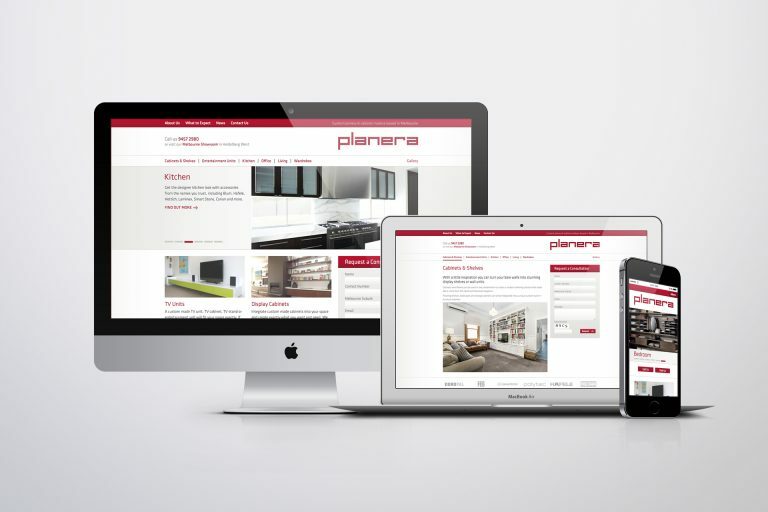 The adaption from a B2B into a B2C provider presented many challenges which the owners had not previously dealt with. 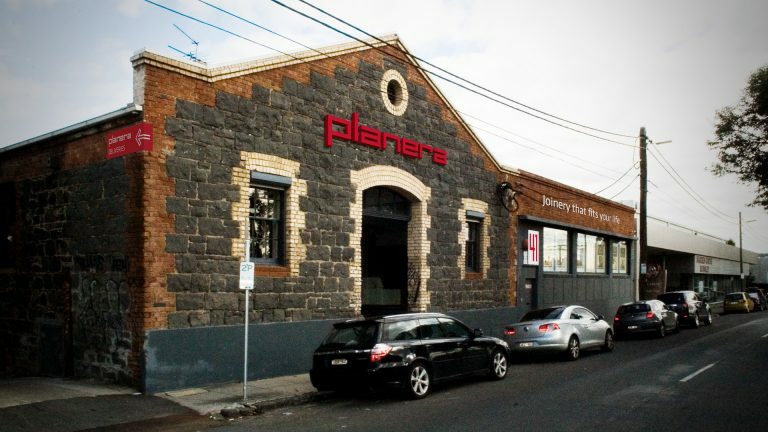 They decided to return to their original structure as being a B2B provider, closed the showroom and now service property developers across Melbourne. Although the business direction has altered course over the time of the re-brand, the brand continues to reflect the craftsmanship which the family business was built on.